Today, the Government Office for Development and European Cohesion Policy signed a contract on co-financing the project from the cross-border cooperation program between Slovenia and Croatia 2014-2020 with the leading partner of the strategic project FRISCO 2.1, Slovenian Water Agency. For the project, totaling 1.678.525,00 €, the European Regional Development Fund will contribute 1.426.746,25 €. 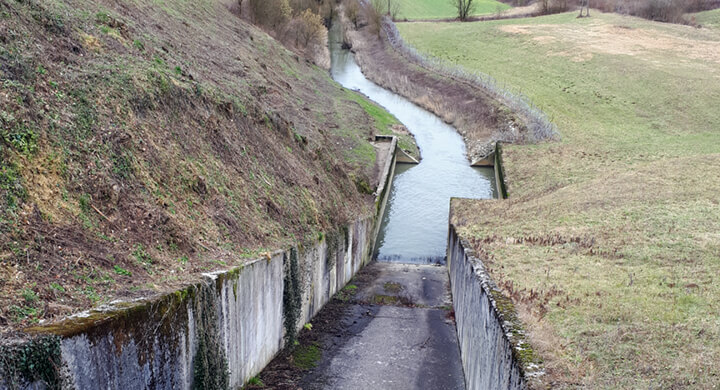 Within the framework of the project, which was approved at the 5th meeting of the Monitoring Committee and will be closed by 31st May 2019, structural measures will be implemented to reduce the flood risk in the Sotla River area on both sides of the border by modernizing and upgrading the Vonarje dam. Copyright © 2019 Frisco 2.1. All Rights Reserved.